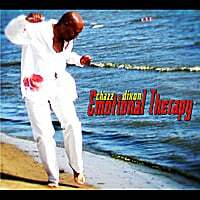 Chazz Dixon Releases a new CD on our sister label Time Boy Music, it's Emotional Therapy!! Viewing will be from 11:00am to 1:00pm and the funeral service will begin at 1:00pm. The repasts/fellowship will be held immediately following the service at the church. (Because of you 2011 looks very encouraging. Great new music from Da'Soul... Anita Easterling "My Experience", Chazz Dixon "Surrender", Murphy Edwards "Precise", The MGO (Mature Groove Orchestra) "Never An Ordinary Day", and Ricardo "Hold Tight" Our CEO and Producer Extraordinaire, The One and Only "J" has been very busy turning out hit after hit... Well the man himself is coming soon with his third project, "Man With A Heart." Check back often so that when it's released... You can be one of the first to get a copy!! The Da'Soul Recordings Family join with the nation in mourning the sudden death of Yolanda King, eldest daughter of Alpha Brother Martin Luther King, Jr. and the late Coretta Scott King. Our prayers are with Rev. Bernice, Martin III and Dexter along with their extended family and friends. We at Da'Soul want to express our deepest regrets at the lost of a great talent, a great man, SOUL BROTHER # 1, JAMES BROWN. R.I.P. On an equally serious note we at Da'Soul would like to make you all aware of a young lady who needs your help. Please visit her web-site and consider perticipating in whatever way you can to assist her. Just in time for thanksgiving! New music from the folks at Da'Soul. Also new from Da'Soul the first in a series of urban jazz cds : THE URBAN JAZZ MASTERS SERIES presents Chazz Dixon's latest "SURRENDER". Eleven of the smoothest jazz grooves on the planet, including 3 classics sung the way only Chazz can. Just in time for the holidays and Valentine's day. Trust me your lover will surrender. Hello everyone, on Saturday May 6, 2006 I performed live on the radio!! I want to say a personal thank you to everyone that tuned in for my in studio performance on WMSE radio 91.7 Milwaukee WI. Thanks for taking the time to listen in and forgive me for not mentioning before hand that we'd be performing live at the station for the pledge drive. For those of you who would like to hear the show, you still can via the stations archives. Barry with Saturday Afternoon Boogie Bang. I can't even begin to thank my fans from the Soulful Detroit Forum, Jimmy and S.S. enough. Thank you for the lesson I'll definitely do my homework. Dream you're magic. Thank you, not only from me but all of us at Da'Soul. For those of you who can stay up late enough. I've been invited back to the station Sunday, tomorrow, at mid-night, (Sunday into Monday, 12am central time) for a Da' Soul appreciation night. We'll play cd's from all of the Da' Soul artists. Again I want to express my love to each of you for sharing the afternoon with us. Jimmy & S.S.,Dream, Lady M and a huge shout to Rico AKA Ricardo, for making it by in spite of his schedule. Also a very special thank you to Billy Cicerelli, Gabriel and the entire crew and my band (Jeff Muhammad,Myron Jewell,Sonny Garr, Deonte Baldwin,Lisa Vega, Wess Scaggs, Yvonne Reinke and Anita Easterling) for making today magical. And a huge, huge, thank you to "J" for being in the station with a BIG STICK. No, no I'm just kidding but thanks "J". I/we love the way you make Da'Soul work. The following Da' Soul Recordings Group LLC. artists did donate their ENTIRE wholesale price of select CD projects to the American Red Cross disaster relief fund from September 8, 2005 to November 8, 2005. The fine Artists and Entertainers of Da' Soul Recordings Group LLC., partnered with CDBaby.com along with several other independent artists, so as to help our family in need. Participating artist, Ricardo, J, Mona J, & Renee all from Two Brothers Records. Da' Soul Recordings artist, Gary Brown & Chazz Dixon, as well as V Joint Recordings Artist, Sonny Garr!! All donated the ENTIRE wholesale price of select CD projects featured on cdbaby.com, to the American Red Cross disaster relief fund. We hope you enjoyed your purchase! The Family of Artists and Entertainers from the Da' Soul Recordings Group LLC., say thank you for supporting this effort. Peace, The Founding Fathers Of Da' Soul Recorings Group LLC. Greetings to one and all... Come support Two Brothers Recordings Artist, Renee at African World Festival on Friday August 5, 2005 at 7:30pm at the Harley Stage!! TWO BROTHERS RECORDING ARTIST "RENEE"
RENEE EVANS, GARY BROWN and many more. See Chazz LIVE! at Questions/May 6, 2005, 8pm/Milwaukee, WI. This performance is part of the Urban SOUL Concert Series. SUPPORT YOUR LOCAL NAACP. BECOME A MEMBER. Get your copy of "Conversations" the latest cd release by "J" at cdbaby.com begining April 3, 2005. This cd is off the hook and truly Essential for any collector, not to mention a must have for those of you loyalist of Da' Soul Recordings. Look for the debut cd release "Dazed" by Ricardo. A knock out album of true 2 life songs from a singer/songwriter who tells it like it is. Look for 'Dazed' by Ricardo at cdbaby.com just before Christmas. Hitsville . . . The House That Berry Built, the new Chazz Dixon joint is a trip back through time to Motown. Listen to Chazz sing 13 timeless classics in a way that only Chazz can sing them. Produced by musical genius "J", this cd promises to be a must have for the Holidays and any serious collectors collection. Available just in time for Christmas, buy each of these cds at cdbaby.com. The're great stocking stuffer's for the music lover in you. We at Da Soul morn the lost of Thelma Mosley, (Moms) mother of Jeff Muhammad, laid to rest Monday Dec 6, 2004. We express our sympathy to our bro Jeff (PB) and his family. If you'd like to book a Da' Soul act for your event email us at (www.booking@dasoulrecordings.com) We'll work diligently to make one of our stars yours for an eveing.